Luck and abundance are very popular topics in metaphysical communities for good reason; who doesn’t want to be lucky in life or have a lot of abundance flowing to them? Unfortunately, most people have a very limited way of viewing luck and abundance, and that actually prevents them from attracting luck and abundance into their life. Having a lucky and abundant life isn’t just about being financially successful (although that certainly is a part of it!). In reality, you can be lucky and abundant in your relationships with people (be it familial, friendship, or romantic), creativity, health, reputation, etc. It only takes positive thinking, imagination, and being open to the possibilities to bring some luck and abundance your way. First of all, you want to release any negative thoughts, patterns, or habits that affirm you do not have what you want in life. So any time you might have thought, “I can’t do this” or “I don’t have that”, replace it with “I can do this!” and “I will have that!” Carrying Moss Agate, Pyrite, and Charoite throughout the day can consciously remind you to release your old ways and make room for the new in your life. Sleeping with them under your pillow works subconsciously towards the same goal. Now that you’ve let go of what holds you back, you can focus your energies on what you do want in your life. Making a manifestation board with the words and pictures of things you want to have is a fun visualization technique. Place Green Aventurine and Sunstone nearby it, either with the actual crystals or images of the crystals on your manifestation board, to remind you of how happy and lucky you will be with these items or ideas in your life. Grids are another fantastic way to use crystals for luck and abundance. You can color in a grid with colors that remind you of luck and abundance, or use the colors green, gold, purple, and red which are generally associated with those ideas. 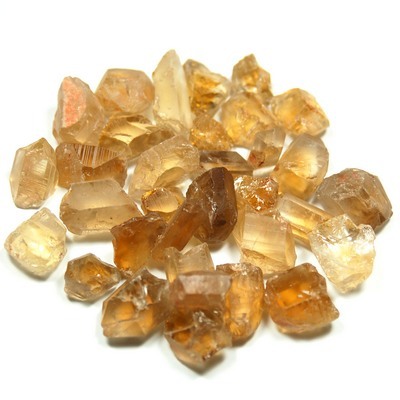 Citrine, Pyrite, and Imperial Topaz can help you manifest what you want in your life. Ruby and Cinnabar work well towards financial abundance specifically. If you don’t have the time to create something new like a manifestation board or grid, work with what you already have! Place a crystal like Red Aventurine and Orange Aventurine in your wallet with the purpose of attracting abundance and new opportunities. Wear Gold and Silver jewelry which help you attract luck and manifest what you want in your life. The most important thing is the intention you are putting out. Many of the crystals for luck and abundance are interchangeable, so experiment to find what crystal feels best for you. And remember: luck and abundance come in a variety of forms. Be open to receiving both in different forms at different times because you never know when lady luck is going to come your way.